With each passing week it seems another candidate enters the race to be the next mayor of Chicago. The latest to throw his hat into the ring is State Rep. La Shawn Ford of the 8th District, which includes much of the city's West Side. “What we want is really pretty simple – the people of Chicago want a seat at the table, and our beloved city of Chicago should be financially stable, healthy and safe – and that is why I now announce that I am running to be the next mayor of the city of Chicago,” Ford told supporters Thursday. A licensed real estate broker and insurance agent who was born in Cabrini-Green and grew up in the city’s Austin community, Ford said he decided to run after being “inundated” with calls from his constituents urging him to enter the race. 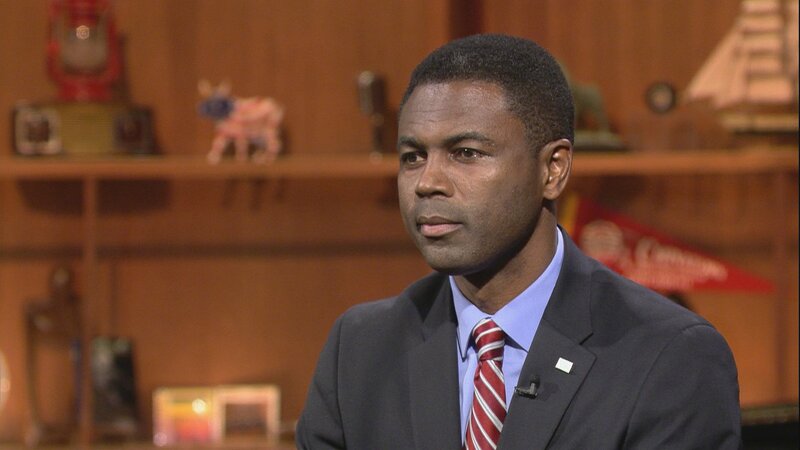 He is the 18th declared candidate hoping to replace incumbent Mayor Rahm Emanuel. A supporter of Vermont Sen. Bernie Sanders in the 2016 presidential primaries, the six-term state representative has a history of backing progressive causes, including support for the “ban the box” bill that would bar private sector employers from asking questions about a job candidate’s criminal history. Ford has also championed microloans for ex-offenders. In 2012, Ford had first-hand experience of the criminal justice system when he was charged with bank fraud. After initially being indicted on 17 felony counts he was ultimately sentenced to six months of probation and 100 hours of community service after pleading guilty to a misdemeanor tax charge. Ford said Thursday he was falsely accused. Earlier this year, Ford caused something of a stir when he appeared on the TV show “Fox & Friends” to encourage Emanuel to work with the Trump administration to get more resources to tackle gun violence. Emanuel had been feuding with President Donald Trump over the city’s status as a so-called “sanctuary city,” but Ford said he would welcome Trump to Chicago and argued that the mayor’s poor relationship with the president was ultimately harming the city. Ford joins Carol Marin to discuss his mayoral candidacy.